…of laundry, that is. You know how you go to your dresser (and your closet) looking for something to wear, and there’s nothing there? Despite the fact that there’s tons of stuff there? Theoretically, if you were to toss everything that didn’t fit or had something wrong with it or you didn’t really like, you’d have a closet that only held the things you actually wear. But you know. Things can never be quite that simple. Is it weird that I made it into a chart? Sigh. 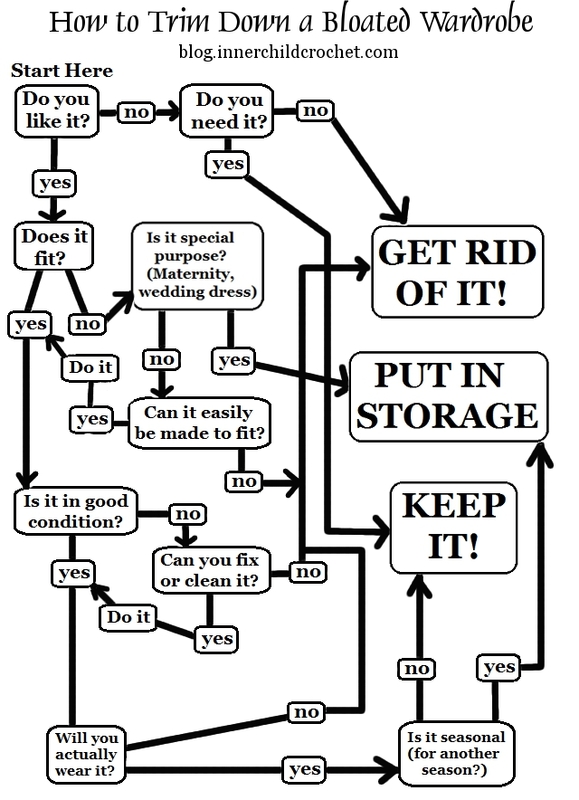 I guess it’s time to print this out and spend some time alone with my closet. I wish I had this problem. The catastrophe this summer really decimated my wardrobe!